VATICAN CITY (CNS) — Twelve Chaldean religious men and priests living in the United States, Canada, Australia and Sweden have been suspended from exercising their priestly ministry for not receiving permission from their superiors before emigrating from Iraq. The sanctions went into effect Oct. 22 following repeated, but “unfortunately unfruitful ultimatums” from the men’s religious orders or bishops, said a written decree signed by Chaldean Catholic Patriarch Louis Sako of Baghdad. The decree was translated into English from Arabic and is published on the patriarchate’s official web site, saint-adday.com. 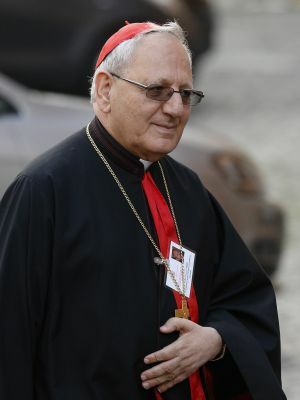 After informing the Vatican Congregation for Eastern Churches, and consulting with the permanent Synod of the Chaldean Church and the men’s superiors, Patriarch Sako had announced last month that there would be canonical penalties for those who did not speak with their bishop or the superior of their religious community about either returning to their community or working out a potential transfer. Among their vows and duties is the promise to obey their superior, “serving where the church sends the priest, not where he wishes to serve.” The values of unity and communion should be held high above personal self-interest, the decree said. The escalating turmoil and violence in Iraq since the U.S.-led invasion in 2003 have triggered hundreds of thousands of Iraq’s Christian minorities to flee their nation. The decree, in fact, highlighted the “eloquent faith lessons” recent religious have given when they “shed their blood for the sake of the flock;” stayed on in their country after being abducted and then released; and “journeyed with their flock” as entire villages and communities were expelled by extremists or violence. “I remind you, brothers, of Jesus’ saying, ‘Whoever loves his life loses it, and whoever hates his life in this world will preserve it for eternal life,'” the patriarch wrote, citing the Gospel of John (12:25). Now that the sanctions have been imposed, if any of the diocesan priests “return, their status will be reviewed. For the monks, there is no other option but to return to their monastery and canonically correct their status,” the statement said. Patriarch Sako urged all bishops to “adhere to canon law and enforce order” by helping the men comply. The decree is meant “to end the illegal exit of the priests from their eparchies,” he said, not try to hurt or oppose the eparchies where the priests were currently residing: in the United States, Canada, Australia and Sweden. He said some documents being published online, presumably authorizing the priest’s ministry outside his eparchy, were not the same official documents they have from the men’s bishops. “I personally forgive all the insulting words that have been directed to myself from some of them. May the merciful God forgive them. Right at the end will prevail,” he wrote. The decree listed the following six monks and six priests as being “suspended from practicing priestly ministry: Father Noel Gorgis; Father Andraws Gorgis Toma; Father Awraha Mansoor; Father Patros Solaqa; Father Fadi Isho Hanna; Father Ayob Shawkat Adwar; Father Fareed Kena; Father Faris Yaqo Maroghi; Father Peter Lawrence; Father Remon Hameed; Father Hurmiz Petros Haddad; and Father Yousif Lazgeen Abdulahad.